Going to camp is a rite of passage for many kids, an experience that introduces new perspectives and a variety of educational opportunities, personalities and environments. Most offer a general program of outdoor exploration like hiking, sports, arts and crafts, and swimming, keeping kids active, learning and engaged while away from school. Traditional camps have a wonderful way of appealing to a wide range of children. There are some camps that push the boundaries of kids’ abilities and brain power, challenging and honing their skills and confidence. These camps take a specific hobby, activity or aspiration to the next level, becoming an immersive experience that can change kids’ lives. They’re often designed to get campers out of their comfort zones to think outside the box and explore their own physical and mental limits — but in a fun, safe and supervised way. They provide an opportunity for kids to get their creativity, energy and brainpower past the surface level and on track to be a foundational element of their formative years — and even beyond into their education and career. “Every day, we ask our kids to think beyond themselves, to see beyond their own needs and wants, and in so doing we help our kids to see the world, and their place in it, in a new and different light from what they’ve experienced at home and school,” says Tom Costley, camp founder and director at Overland Camps. Studies show that all types of camp experiences impact children’s lives for the better, according to the American Camp Association. Whether traditional, specialty or extreme, each type of camp helps to improve confidence, social interaction and leadership skills. “Our summer camp allows kids to think outside of the box through the different obstacle challenges set up that force them to strategize and problem-solve the most efficient and successful techniques,” says Jamie Haggerty, director of sales and marketing at Adrenaline Monkey in Cleveland, which offers a summer camp program that makes fitness and exercise a competitive, fun part of daily activity. Other camps take the traditional theme of outdoor adventures and concentrate on challenging activities, ranging from horse care to treetop zip lining to traveling to far-away destinations. For example, Common Ground, in Oberlin, Ohio, offers camps that include river walking, survival skill building, high ropes courses and ziplining, among other activities. If your kid loves the idea of traditional camp but has an affinity for different geographical, topographical or cultural settings, a travel camp may be a good option. Camps such as Overland Summer Camps introduce campers to new places while incorporating hiking, swimming, teamwork and leadership in domestic and international locations. Overland’s programs offer carefully-crafted hiking and biking trips in the U.S., Central and South America, Europe and Africa, Costley says. If your kid’s got an interest, chances are you can find a camp that caters to it in an immersive or intensified way. 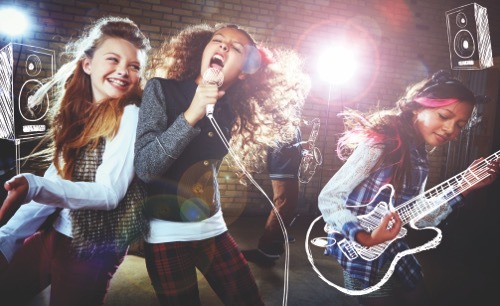 From sports camps like Cavs Academy (basketball) and The First Tee (golf) to arts-themed like School of Rock (music) and Beck Center for the Arts (performance), these camps provide an opportunity for focusing on a skill and getting a deeper understanding of it with like-minded peers. Some camps delve into academia and career development, with themes like manufacturing, leadership or STEM. Classroom Antics is one such program, designed to help kids explore technology through activities like game building, coding and robotics. Small groups offer opportunities for more focused instruction, but not in a traditional student-teacher format. Furthermore, campers at specialty camps tend to already have a passion for the camp’s theme, and that helps to keep them engaged, absorbing the information and life lessons. This can help to set them up for a particular course of study or career path. Whether your child is into science, sports, theater, music or even magical adventures, there’s a camp out there waiting to stoke that fire and ignite the passion further.